InSight (short for Interior Exploration using Seismic Investigations, Geodesy and Heat Transport) won't be looking for life on Mars. But studying its insides—what it's made of, how that material is layered and how much heat seeps out of it—could help scientists better understand how a planet's starting materials make it more or less likely to support life. InSight could help answer these questions by using a seismometer, called Seismic Experiment for Interior Structure (SEIS), to watch how quakes—which can be caused by processes other than just tectonic action—travel through Mars. 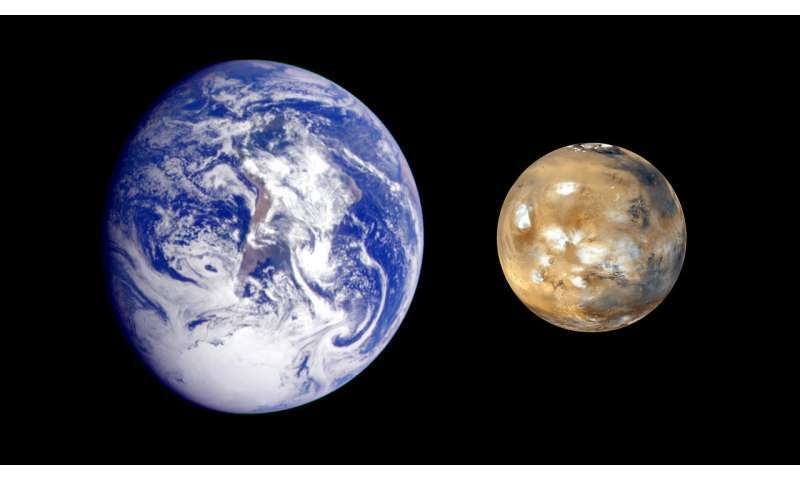 Understanding how the planet is layered will help scientists work backward, piecing together how dust, metals and ices in the early solar system combined to form the Red Planet. Heat keeps a planet's core molten and flowing. Metallic elements in that core generate electric currents as they move, producing a magnetic field. That magnetic field is like invisible armor, shielding a planet—and any life-forms that may be on it—against radiation. Mars' wobble, tectonic activity and heat flow—all three can help explain what set these planetary siblings on different roads, only one of which provides much better conditions for life today.